Langkawi an island of its own, also known as the land of eagles told by one of a security guard Jae talked to while we were waiting for Don on the day of departure (I was slightly impatient as usual, that’s why I remembered so clearly). 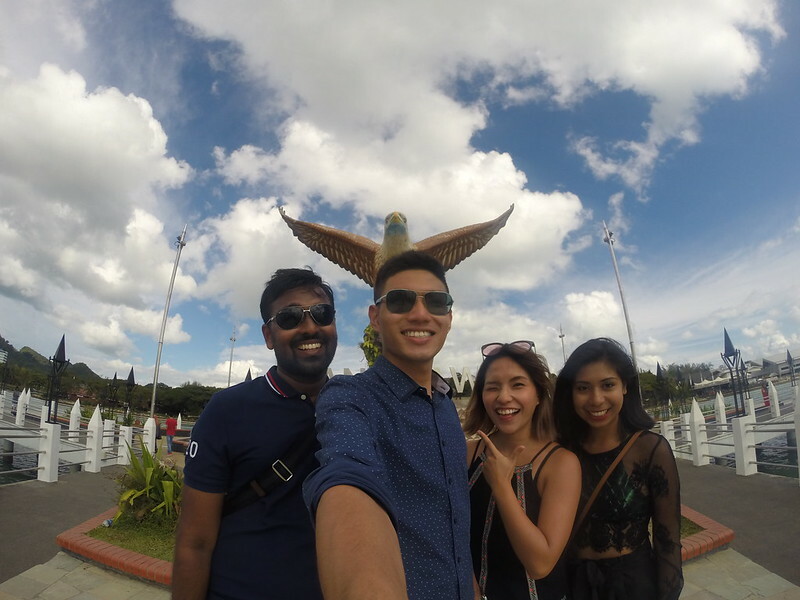 Anyway story cut short, LANGKAWI is legit full of EAGLES, and is one of the top few things that you won’t want to miss out. Okay back to Langkawi.. Langkawi is definitely one of Malaysia’s ultimate escape from the hectic city life. 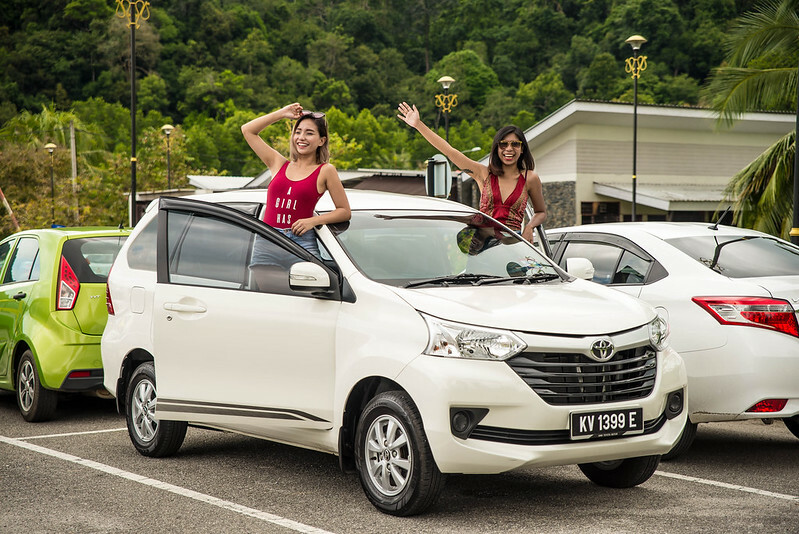 A long drive past beaches and farms around Langkawi, and you will realise it is so relaxing! 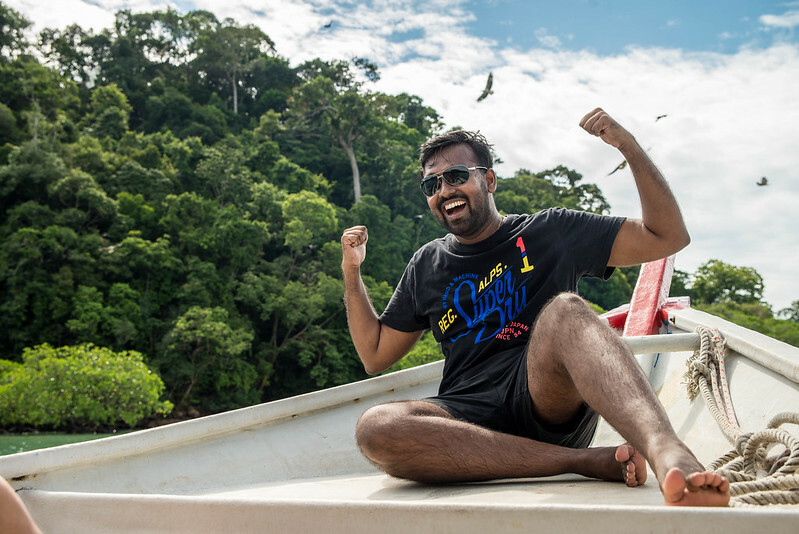 You can even trek into rainforest, sail on a boat to even wildlife-watching. 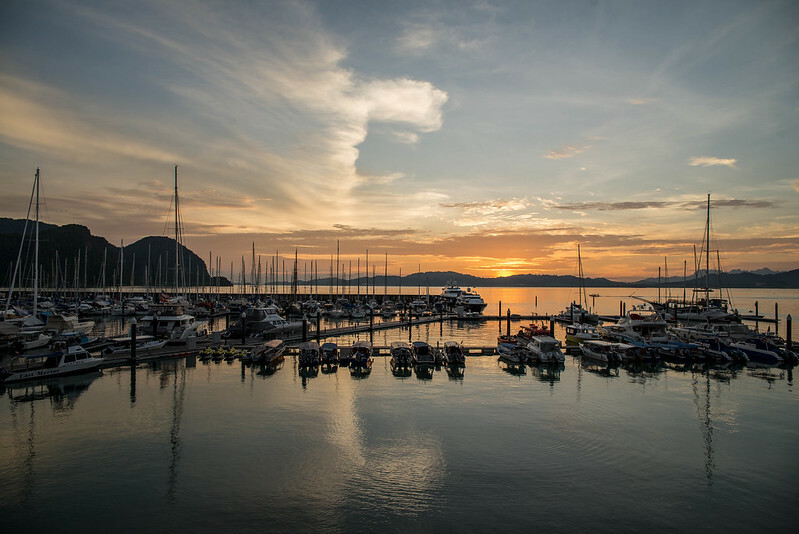 There is so many things to do around the little island, but today I will cut short to the TOP 4 things you can do around Langkawi, so to spend those few days much worthwhile. At the western coast of langkawi, one of the most popular beach in the island. There are many hotels and resorts all around it! If you love the beaches like us, you will definitely spend a good whole full day chilling with the stretch of while sands and magnificent sea views. Even when the sunsets, there are beach bars and even spas, to complete the whole beach life experience. One of the most amazing things you can do at the Pantai Cenang Beach is the endless watersports activities they have! And to be honest, you gotta really try it! Not only it is much more affordable than a lot beaches I went, but, where to get such a great view when you are water skiing or parasailing. Trust me, have to try it, cause… is such a waste that we didn’t bring out our swim wears and wallet out when we visit the beach! 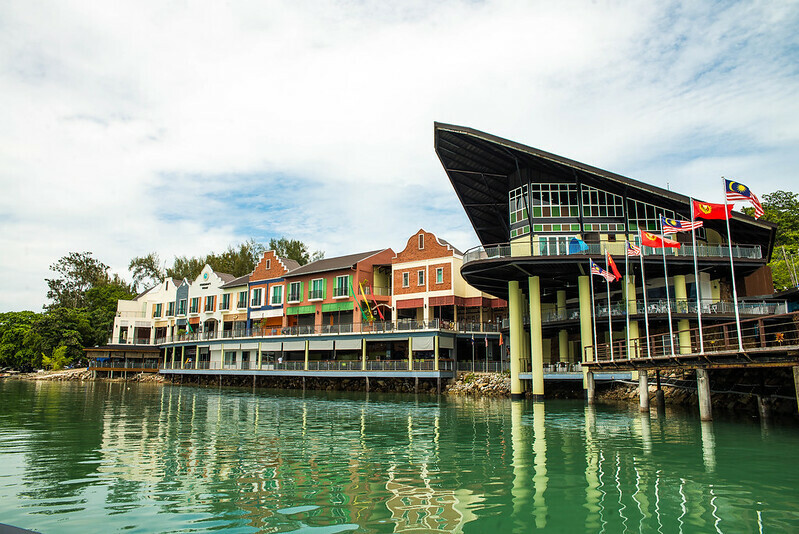 Take a half a day tour to the Oriental Village just around Pantai Kok, as there are art gallery, souvenir shops, cafes and even activities you can do over there! 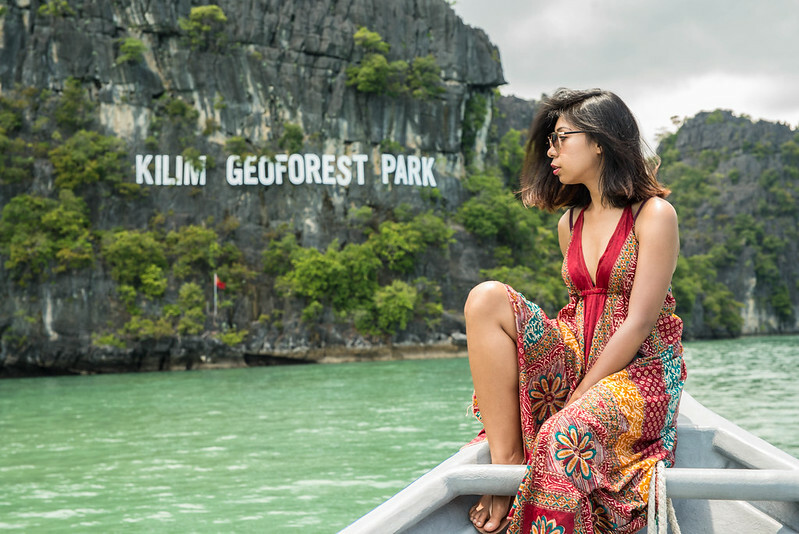 If you head over to the central square where the fountains are, the Langkawi Cable Car (or SkyCab, how the local says it) is something you shouldn’t miss! With just less than 50RM, you can take the cable car up to Mt Mat Cincang + enjoy the walk at the Sky Bridge. 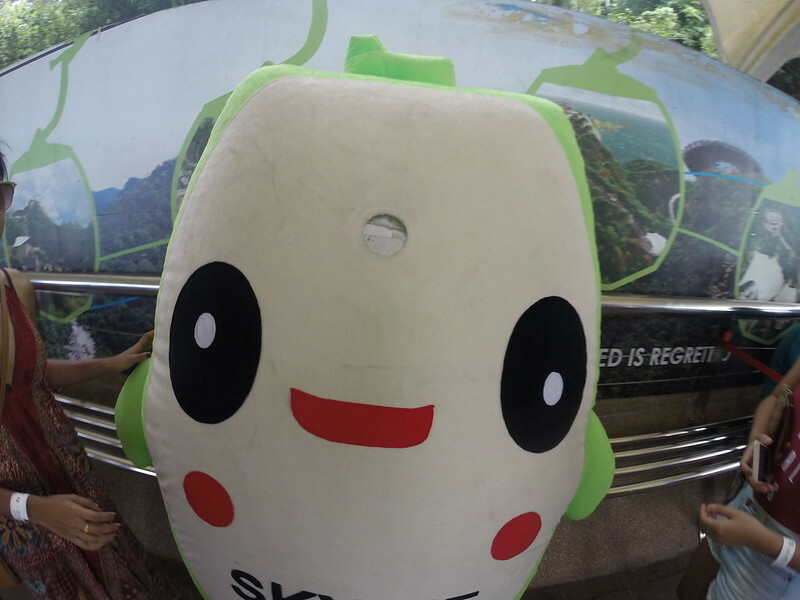 Oh don’t miss your chance to take a photo with their mascot SkyBie and also when you are at the highest point too, as you can see almost the whole of Langkawi and enjoying the cold breeze. The view is definitely can’t be missed! 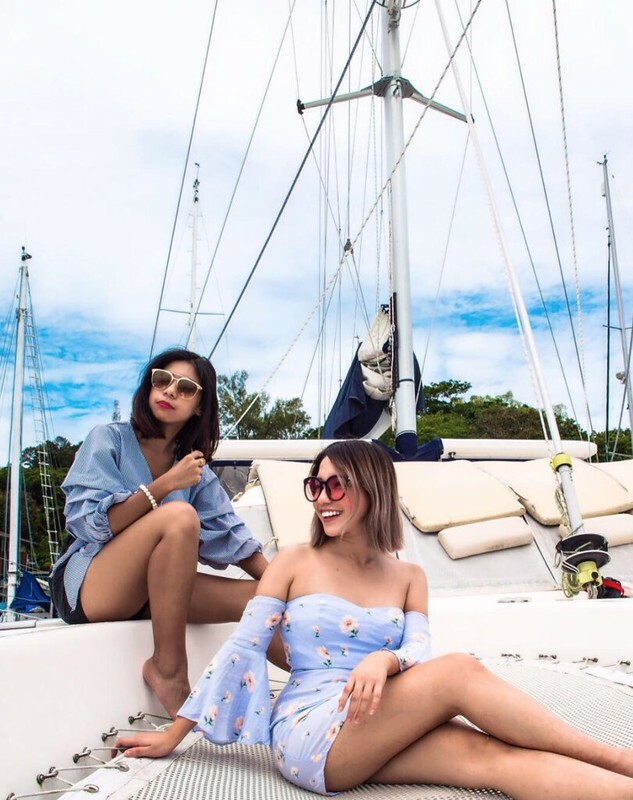 If you love the sea sun and sand, is a must to go on island hopping around Langkawi. It is beautiful amazing and u could get many lovely photography and even get to feed the eagles! We went to Bras Basah Island, Pregnant Maiden Island/Lake and had a great fun with their activities over there. Sadly I miss out on the sunset, and I am pretty sure it is gonna be amazing and beautiful. Mangrove Tour is another tour that you don’t want to miss out. You get to explore the best of mother nature and even exciting caves that you wouldn’t get to see in Singapore! Don’t miss out on taking great photos of the Geoforest Park and enjoying the sea view of Andaman Sea too! They also offer car rental as well! 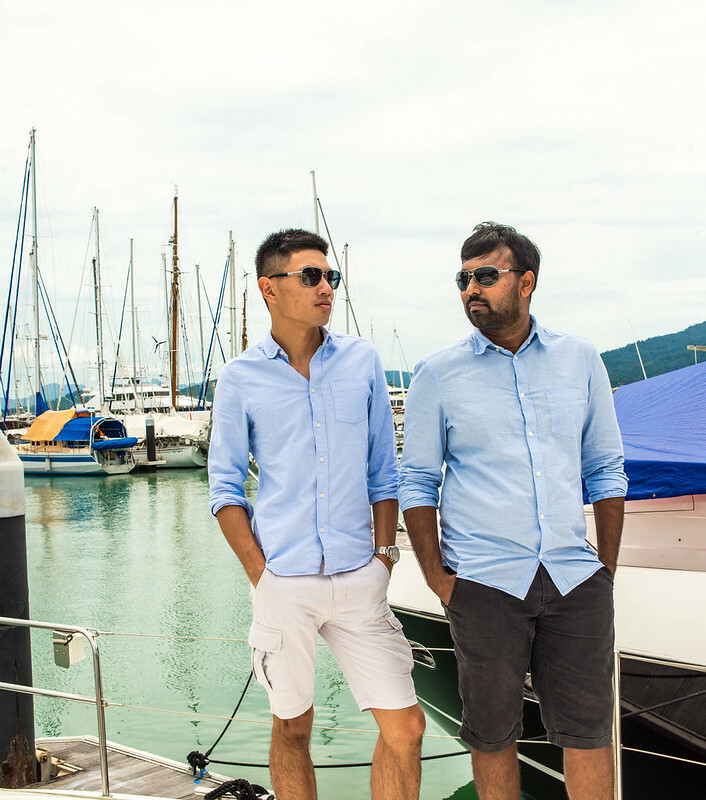 Staying at the Royal Yacht Langkawi Club is probably the best decision made ever. Not only the room is comfortable but is facing the sea and with beautiful yacht day and night. 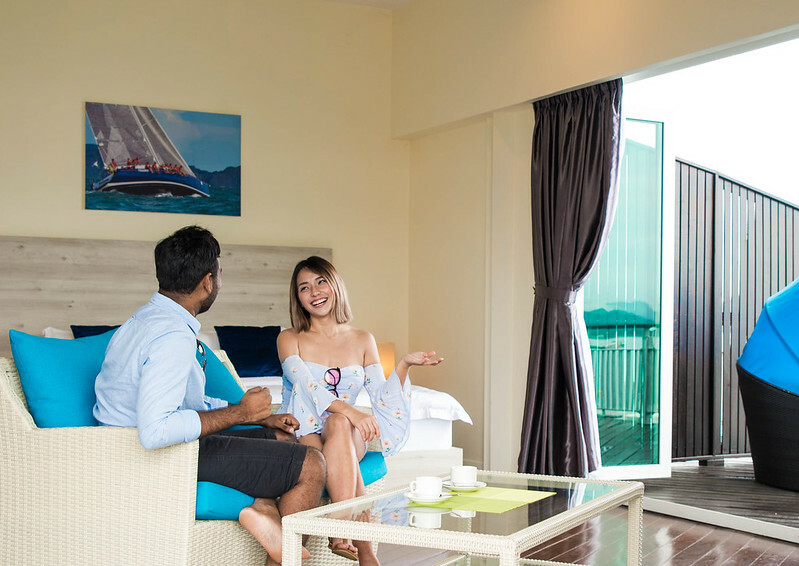 If you are feeling lazy all day, staying and chilling at the Royal Yacht Langkawi Club can be a great choice as well. 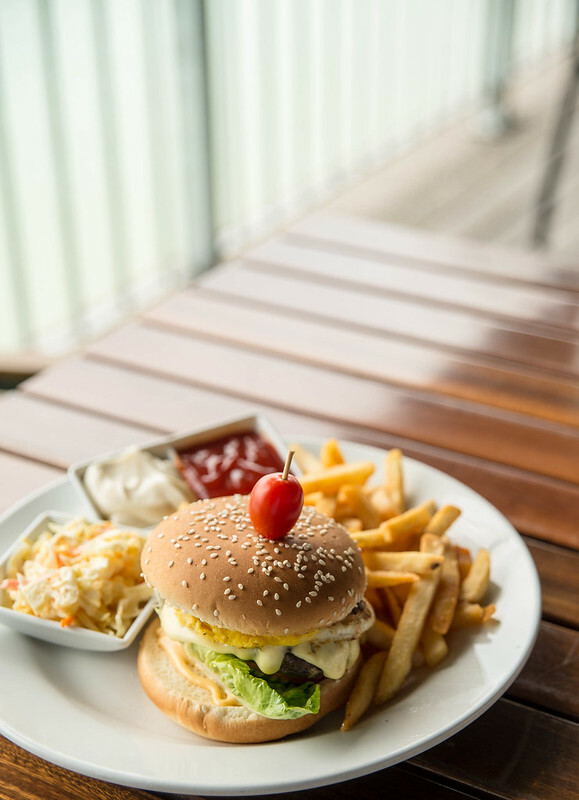 You can literally settle all the meals in the Royal Yacht Langkawi Club and even chill by the pool or their cafe with a nice wine. 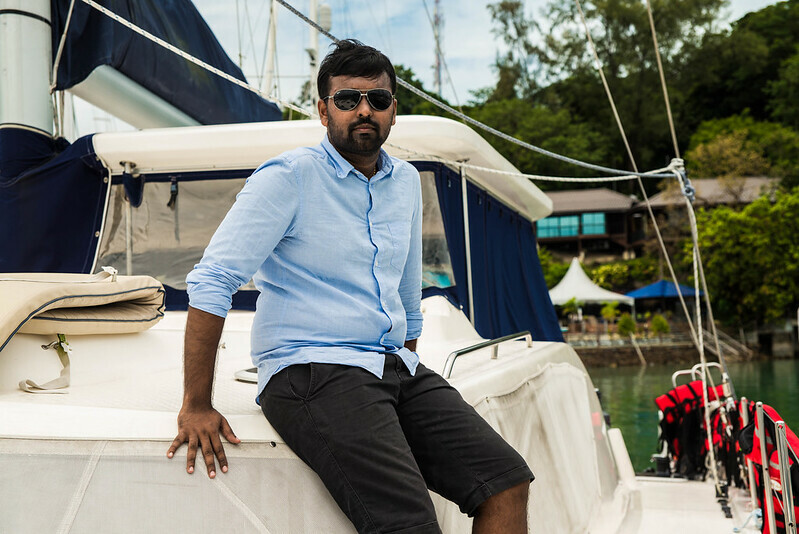 One of the best moment of the whole trip, as I personally like to be able to relax and enjoy the great breeze of the wind and smell of the sea. Below are the my itinerary of my 3 Days 2 Nights in Langkawi. 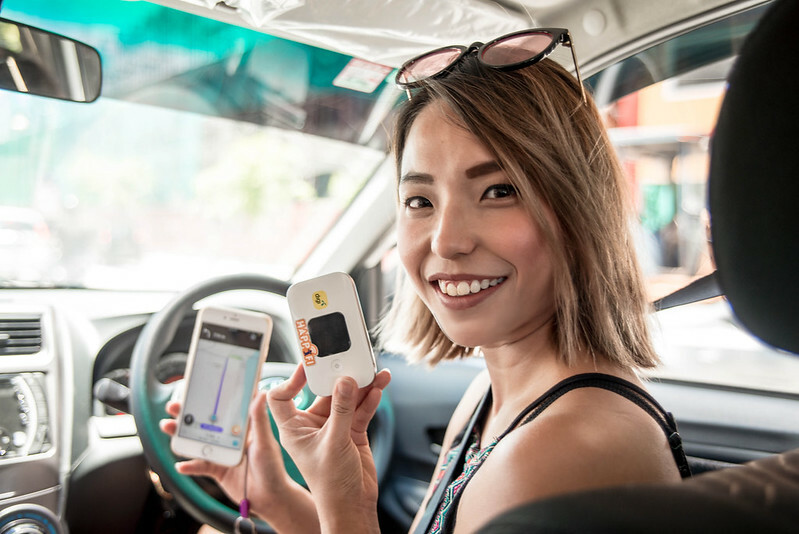 Travel with ease with Happifi! Allows me to be connected at all time! You can Quote to get 5% off for any destination! Black Friday Sale is happening really soon! And I am so hyped about it! Everything around is having a huge slash on their prices, so crazy that you might end up robbing a bank to shop, OPPS! Just Kidding, please don’t commit a crime for the sake of my nuisance. So anyway! Let me share with you an exciting Black Friday Sale this year! And is none other than Eye Trendy Black Friday Sale! They are introducing a Surprise Pack this year, retailing at only $79.90 and items are worth up to $250! Participating eyewear brands include, Adidas Originals by Italia Independent, Elle, Mango Eyewear and Esprit! For my own surprise, I receive a Elle Surprise Pack with a pair of Elle sunglasses, Elle vanity pouch and a eyewear pouch as well. And what’s even more amazing, it goes with the theme of Black Friday really well, with everything in BLACK! Love how sleek the sunglasses look, and fit all the merchandise given as well! For the rest of the brands, check out Eye Trendy website as they announce the upcoming brands and dates weekly. Winners will be contacted at the end of each week where they can make their purchase and collection of the Surprise Pack in store. So have fun surprising yourself or your loved ones now!! I would like to introduce you guys a PEARL of Goodness that will never go wrong! Ricola Fresh Pearls are now more chewy and more refreshing! From the repackaging of Ricola Fresh Pearls, definitely it looks much more chic and trendy, and with the new flavour of “Glacier Mint” you can now enjoy a burst of refreshing chewy mint at any moment! Ricola Fresh Pearls – Glacier Mint actually helps me freshen up much more on days i have to stay awake for a meeting especially when that ZZZZ monster kick in after lunch! The minty and chewy pearls is really easy to chew on, and it doesn’t need any much effort as well, so it is definitely one of my top keeper NEEDS in my little bag! Anyway is so small and light, I can even squeeze into my lunch pouch! I personally LOVE how the new chewy experience though when consuming Ricola Fresh Pearls. The 85+ year old brands always never fails to give the goodness of nature, the power of Swiss herbs and also a balance taste and benefits to the consumer. And what’s more amazing, all Ricola products are 100% manufactured in Switzerland and have no artificial colouring and flavouring to it! Hence it is more benefits to you than just consuming like a candy, since they uses naturally grown herbs in the Swiss mountains. Hmmmmmmmm, sounds like a great candidate for my candy pouch! Ricola will also be having a promotion for all the Ricola Fans out there! 1. Purchase $10 worth of Ricola products in a single receipt. Promotion starts from 1 Oct and ends on 17 Dec.
And as well as a Social Media Contest for all those who enjoy sharing silly moments in their lives and they often share it with their loved ones. This contest encourage sharing of Ricola Fresh Pearls, but also silly fun moments by weaving Ricola Fresh Pearls into their everyday life. 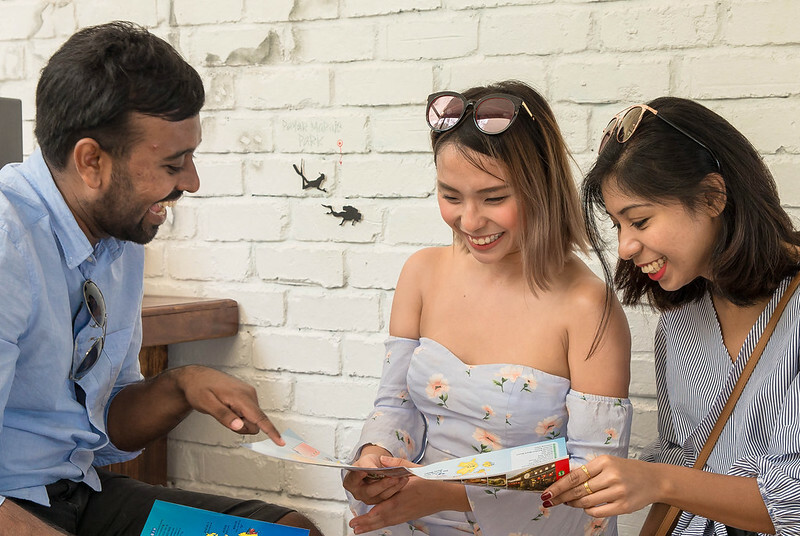 So show us how you and your best buds share a silly Pearl moment on your social media (Facebook or Instagram) and stand a chance to win a 2D1N Staycation at Hotel Jen for 2. Contest starts from 23 Oct and ends on 12 Nov.
OMG, many of my friends are all getting married, and I need a fast wardrobe revamp! Not used to dressing up with dresses and flamboyant colours, I went online to shop away. Getting myself out of my sports wear, jeans and slippers ain’t that easy, but I am glad Pepperkoko (www.pepperkoko.com.sg) have a huge variety of clothes for me to shop away! The first landing page already stun me with amazing number of choices! And they even have a HOT SEARCH column, to guide me through better! There are lots of different weddings at different timing, and definitely you have to dress right to fit in the crowd. You don’t wish to overdress or underdress right? Hahaha, so I look through the site and realise Pepperkoko do have different outfits just right for different occasions of wedding! Let me show you!! They have more than 500 different clothes for you to chose, and prolly you will end up checking out more than you should! Hahah, but don’t worry, the price are rather affordable and most importantly they do have 15% off for all new arrivals! WOOOOT. And if you quote Quote ‘WIYIXIN10” you can get $10 off with minimum purchase of $60! It is so matchy with other top as well! So happy with the decision I have made! Yay! So Happy Shopping at Pepperkoko! No 1 Rule of a Lady. But to walk all day in those high heels is just going to make me cry. To be honest, I love wearing heels to look all tall and lengthy, but to suffer long hours walking and standing in it, is definitely not my thing. And worst, all the little side effects of wearing it for long duration is definitely not worth it for the long run. But FRET NOT! OSIM uStiletto is here to save your beautiful legs from all the cries and unhappiness from looking fabulous and confident in your favourite heels. So, introducing OSIM uStiletto in three lovely designs, Elegant, Homemaker and Kawaii. It is fitted for three different style and personalities of any women out there. And yes I was invited to have the first-hand experience of uStiletto with the rest of the ladies. There were really cute cupcakes in the form of stilettos and even cupcakes that looks like uStiletto itself! uStiletto comes in a few auto massage programs, like “Pamper”, “Relief”. “Beauty”, “Reflexology” and “Sleep” program. I personally love the “Reflexology” auto massage program, it hit the right spots of massaging from the ball of my feet, arc of my feet and even to the ankle of my feet. Although the strength is much more stronger compared to the other programs, but it is the one that feels most alike to massaging out at any foot reflexology parlour. If you are someone who prefer something light and relaxing, you can chose the “Pamper” massage program, as for me personally, I almost fell asleep during the massage! Haha. OSIM uStiletto is light weight and really easy to carry around too. I can even use one hand to pick it up and easily move it around the house anywhere I want to! Really affordable and really worth a keeper for all ladies out there! Don’t forego yourself looking confident in heels just cause of the pain, OSIM uStiletto is the solution to relieve your pain and suffering! Heard that prices are only going to go up, so do grab it fast! Do you experience unusual pain every now and then at your back? Or neck pain when you stare at the computer screen for too long? Or even sudden migraines/headaches for no reason? We might not treat all of these seriously, thinking it will just go away anyway, but what we do not know is that we might actually be suffering from Spinal Misalignment (Vertebral Subluxation). So what if we have Spinal Misalignment or Vertebral Subluxation? When our spinal bones or vertebrae are out of alignment, it can cause disturbances in our nervous system, which might lead to muscle spasms and also the conditions stated above. This condition does not have obvious symptoms and is usually not identifiable through health scans. Hence, one might be diagnosed as healthy and yet still experience all the discomfort caused by the condition. What would have caused this condition then? It might be attributed from our daily lifestyle and poor postural habits. From the way we sit, to the way we stand, and even the way we sleep. Anything we do day to day could be a causal factor to the condition, or even combined. Furthermore, daily habits are hard to change and would take time for us to get used to the proper posture for our daily routines. This is especially made more difficult in our daily busy lives, where work keep piling up, leaving us no time to even think about how our posture should be. This applies to me, as I too experience unusual aches at my neck and shoulder after a long time in front of my laptop (like now!) and also hip and knee pains from my past injury from working out that never seem to recover. I had no idea what was wrong and how to go about fixing all these, but thankfully, one of my friends introduced me to Dr Bryan Chen, a chiropractor from Equilibriohealth. He helped me to understand my condition and the reason for all my aches. Dr Bryan Chen checked my spine alignment and took an X-ray of my neck for analysis. Dr Bryan Chen explained the details to me and also taught me some exercises that I can do at home, of which I should aim to do every day if I want to see any improvement for my neck. He also mentioned that the cause would be the usage of mobile phone and also having a bad sitting posture while working. Understanding that changes in habits does not happen overnight, further advice for me was to have a chiropractic session once a week to align and adjust back my neck and spine, so as to reduce my sudden headaches or dizziness. Anyway, a brief explanation on what Chiropractic means. “Chiro” = Hand, and “Practic” = Practice. Basically it means the using of hands through practice, to push and move the spine back into alignment. From this, we can be cognizant that our issues won’t be solved with just a one-time session and definitely requires time and patience. Therefore, should anyone have any spinal issues, the recommendation would be to have a session at least once a week to get your spine adjusted and aligned. Personally, after three weeks of chiropractic sessions with Dr Bryan Chen, I have already experienced positive results. Even with my erratic working hours sitting in front of my laptop and irregular sleeping hours, my neck and shoulder pain have lessened significantly. Not only that, Dr Bryan Chen’s professionalism is displayed during every visit, with him patiently understanding my issue and monitoring my progress throughout. Not only that, I even got to learn more about other spinal conditions from his sharing like Disc Herniation and Scoliosis. He even taught me preventive measures. Over here in Equilibriohealth, besides chiropractic, they also offer other treatments such as Spinal Decompression Therapy (for herniated and degenerating discs) and Radial Shockwave Therapy (for musculoskeletal conditions, neck/back pain, tennis/golf elbows, frozen shoulders, Achilles tendinitis, plantar fasciitis and many other conditions). Spinal health is important, and can affect our daily activities. Hence, I would definitely recommend everyone to have their spine checked, and perhaps from there, find the cause of the pains experienced and get them resolved. Was invited to have the first hand feel and view of the adidas Originals Eyewear by Italia Independent Fall/Winter 2016-17 Edition, and also it is also Italia Independent’s first official launch in Asia! I have heard so much about their lightweight and trendy wear, that is suitable for both men and women! adidas Originals Eyewear by Italia Independent introduces the metal frames that creates this edgy look and keeping the functionality to it’s fullest. Keeping the unique style to the traditional functionality definitely requires a lot of innovation to it! The event started with an opening speech by Mr Paolo Sasso, APAC Sales Consultant from Italia Independent and Mr George Lee, Managing Director of Sin Kwang Group. There was a mini fashion show that comes along with the whole event whereby they have models featuring the latest collection of adidas Originals eyewear, it really gives me ideas on how to match different eyewear with different occasion. Not forgetting the canapés specially prepared by The Refinery, and they even have adidas theme mocktails to go along with it! Such creativity! adidas Originals Eyewear by Italia Independent products is available in stores now! Sin Kwang Group and Eye Trendy is the sole distributor of adidas Originals eyewear in Singapore, Malaysia and Indonesia! Prices starting from $205 for sunglasses and $185 for prescription frames. Below are some of the few eyewear that I personally like and have gotten it for myself and my boyfriend :). Chance upon a really really useful online pet store few months back, and I really have to mention them! They offers really great discount on and off, and most importantly they have almost everything I need! You can check them out at www.kohepets.com.sg, they have all sort of items ranging for dogs’ to cats’ food and even things for grooming! The online payment was really simple and easy to facilitate as well. All I need was to present my billing and shipping info, and chose the payment I want! I chose cash on delivery though, so I can save the hassle to take out my cards from my wallet. TEEHEE, I am really lazy! PS: I bought two new water resistant bed for QQ and Sora, cause they love the rain and pond, I cant stop them from jumping in thou :(. After transaction, they will actually send an email and a order no, for your reference. I receive the two beds immediately after 3-4 days, and I have to say, my two flurry brown pals really love the bed so much, they will even try to fight for the bigger bed whenever possible. It is really cute just by observing how much they enjoy it! Different couples definitely have different liking in what to do when they are on a date! Dating Chris for almost 3 years make me learn that he is actually a girl in heart. As he loves to shop (and sometimes shops more than me! ), we can walk all day in the mall and won’t get bored of it (especially if we land ourselves in a heaps of sales and sales and more sales!). But in this 3 years, I am also been able to identify a few category of couple shoppers too! You can watch the video below, for a short snippets of what I meant! To be honest, it is actually 4 instead of 3! You will find out more after following through this post! Not many couples like to do shopping together, as we all know guys know what they want and girls just love to try it all! Guys will walk into a store and know exactly what to pick up and what’s their size (they can totally skip the fitting room) and straight to the cashier counter. Whereas for girl shopper we all know girls just love to flip through the clothes and queue for that long line to fitting room before really deciding which is the best piece of them all, (sometimes also end up not buying any of it). But as for me and Chris, how we shop is simple, we will look through every single piece that we know that suit each other and chose the best price out of it before trying them on! We can go every single inch and corner to look for the best price and more worth it pieces. Although we might seem cheapo, we always ended up walking home with 2-4 bags of clothes, cause we don’t just go 1 store, but many other that catches our eyes! Haha. Food is something that a real happy couple wont miss out! Cause even researchers have proved that couples who gain weight together end up happier together! I guess that pretty speak very well of the few inches I have gain after being with Chris (oh gosh!!!). But hey, being happy is more important right! I have seen many of my couple friends going for cafe hopping every single weekend, and even going for a late night supper after a very heavy buffet meal! I guess there is a saying “Good food ends with good talk”! This truly happens to many who doesn’t even know where they are heading to! Not as exaggerated as what is shown in the video (getting lost and all), but there are many who just wander around the mall hoping to know what they exactly want or what their partners want to do! Some even end up getting nothing or doing nothing at the end of the day! It is quite hilarious, but most important on a date is never about what you guys do, but the time you spend with the special someone! Right? Hahaha. Couples who know exactly know what is happening around them! The exclusive promotions and sales that they can fully utilise on, and is all within a click away. And if you guys haven’t know, 313@somerset have a app call Tring 313 app that enables shoppers to get updated of the exclusive deals, up to 50% off! Also, it have a ability to send location-based alerts to user who are at a certain radius of 313@somerset. This app is absolutely free and is available on Apple App Store and Google Play! So why wait! Download it now to save more on your date night! 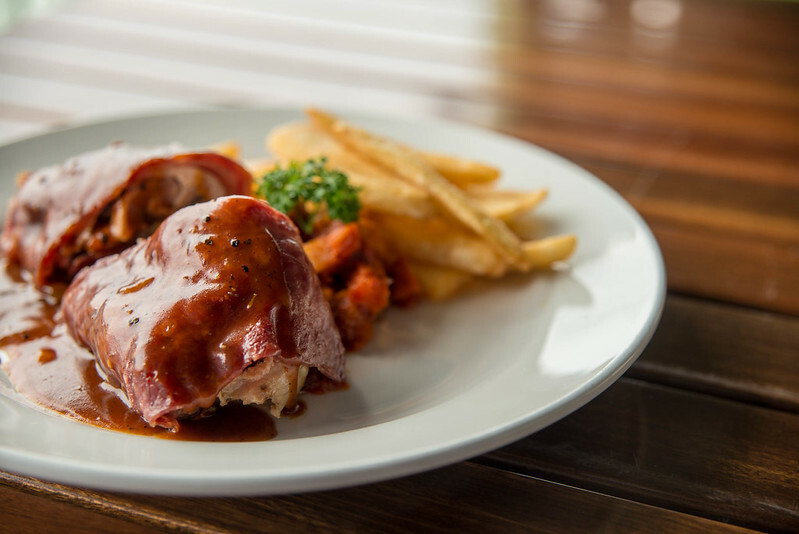 Swiss Butchery is one of Singapore’s pioneering premium butchers, known for fresh and different variety of gourmet delicacies we bring in from around the world! And what’s more exciting, they have renovated their Tanglin outlet to cater wider, fresher range of goods. At the Swiss Butchery you definitely can find the usual fruits and snacks, but what is so special about it, is that it offers many fresh food that is never seen in the usual grocery stores that is a must to check it out! Let me show you around! So definitely what’s a Butchery without meat? Swiss Butchery offers exclusive meats ranges from Matsusaka A5 beef and NZ Reserve grass fed marbled beef to fresh sausages and hams! They even have special service, Salt Dry Aging to give the oompf to the beef. It is exclusive only to Swiss Butchery, and customers can customised and chose how tender and flavorful their meat to be. Although it is a rather expensive way to give the flavour to the meat, but it is totally worthwhile when you put in your mouth! Yummmmz. Swiss Butchery also have really delicious Russian Caviar in store as well! And they come in three different types too! Classic, Premier and Imperial. All ranges from grams and price. The freshness of the Caviar is a definite not to be missed!! One of the seafood expert, Frisch Seafood is also right in store! They provide a direct source to plate fresh seafood to ensure their quality, freshness and sustainability. So you can expect alot more tender and fragrance seafood from sashimi to even exotic fishes, kemon sole and even chunky crab meat available in store! And so if you are looking at a fresher and sweeter meat/seafood do head down to Swiss Butchery newly renovated store @ Tanglin!